Exciting opportunity for graduate students, newly minted Ph.Ds and ABDs with limited options to acquire hands-on experience bringing exploitative, bullying plagiarists to justice. The Ethicator Foundation is a non-profit advocacy group dedicated to bringing honesty and integrity to the academic world, and ending impunity for ethicists who steal ideas. Are you the ideal candidate for this position? If so, you are a bold, truth-telling trailblazer with a passion for justice. You fear no one, least of all Big Ethics. A fiercely independent thinker, you tenaciously support the Ethicator Foundation's ideals of academic honesty and full compensation for web developers, and an end to academic bullying from siblings. 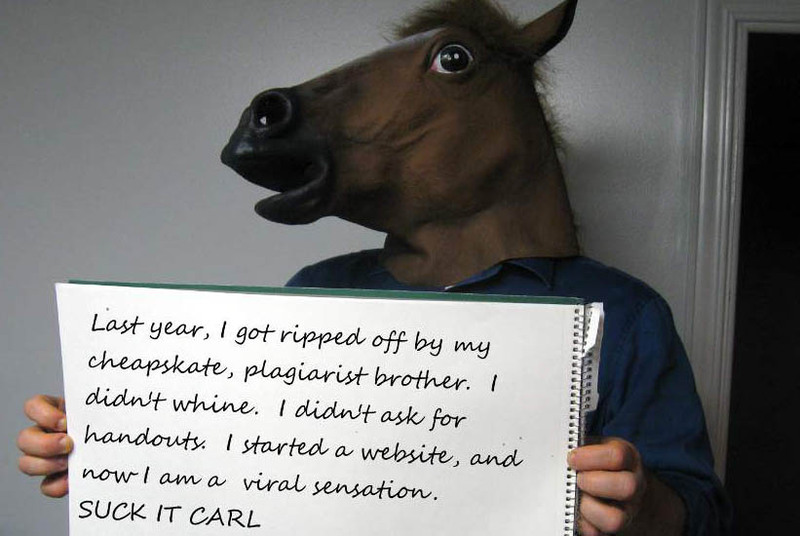 Above all else, you are passionate about bringing down cheapskate plagiarist shitheads. Your responsibilities will include: Daily meetings with the Ethicator (late morning to early afternoon, depending on when I wake up); some routine opposition research, in the form of database searches and some surveillance; and a limited amount of landscaping, laundry and pet care. Work runs 50-70 hours per week, depending on your level of dedication. This volunteer post offers hands-on experience with a top expert in the field, not to mention the prospect of excellent references from Carl's enemies. 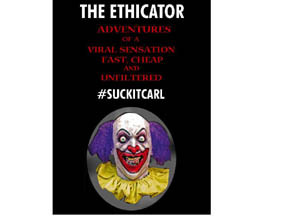 There is also the possibility of some future remuneration in the event that Carl ever pays up. If you are interested, please send your resume to: info@whitecoatblackhat.com. The Ethicator is an equal opportunity employer. We are dedicated to a safe, secure, non-threatening work environment and I never get handsy. Do I Need to Wash? Just how “hands on” are we talking? AJOB-level “hands on”?